Hattip to Dave Griffey at Daffey Thoughts. Uuuughhhh. No change. A progressive to the end!! The smart money says the state of American history faculties is such in this country that it will be a looong time before they dispense with an essentially apologetical approach to Obama. “American history faculties” are the enemies and colleges/university are enemy-controlled territories. 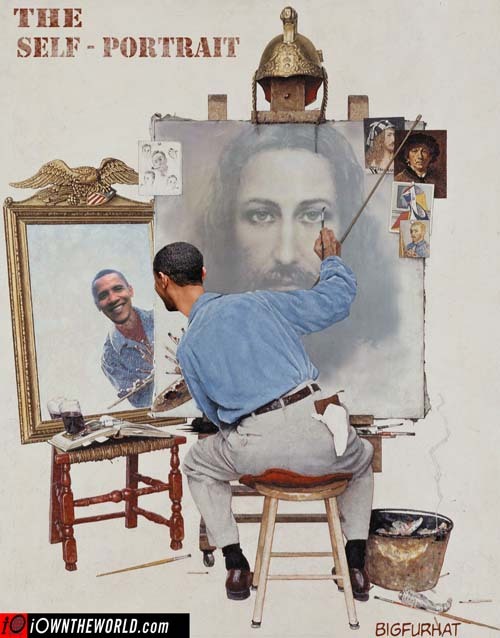 It all makes sense when one assumes that they are Obama-worshipping liars. I think the zero sees himself as a reincarnation of Mohammed. Someday Obama will be displaced as the worst president in US History. If things had gone badly in November 2016, that replacement would have been corrupt, incompetent Hillary.